Celebrate a birthday with a fun and colorful birthday balloon bouquet! 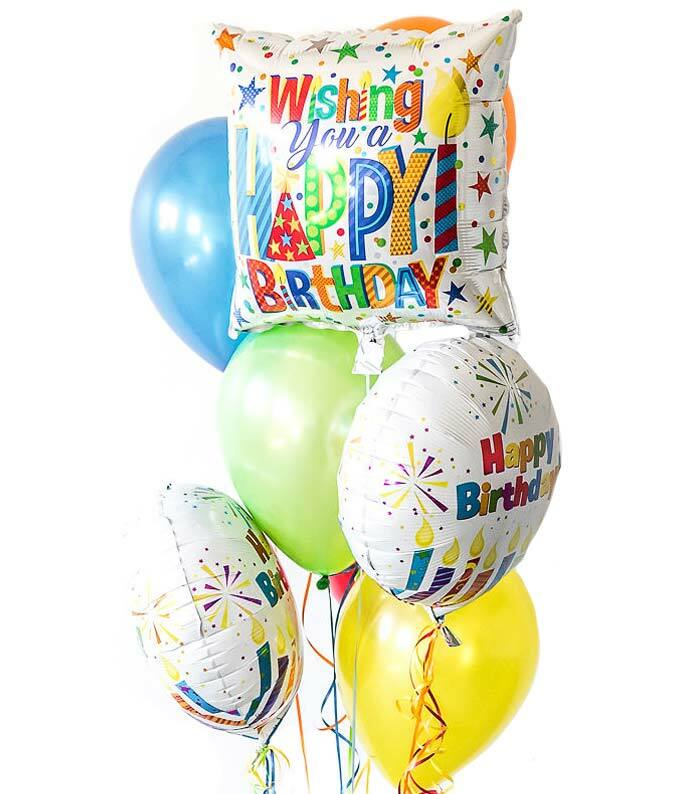 Created with four bright latex birthday themed balloons and arranged with three birthday themed mylar balloons, this balloon bouquet is sure to bring a smile to the birthday person's face. Hand-tied and delivered to an office, school or home with a card.